Amanda Nagle is a behavioural scientist (specialising in population health and prevention), who came to the School of Rural Medicine in 2012 following an extensive career in the NGO sector, managing population behaviour change programs. She was appointed as an Associate Professor (Year 1 Clinical Academic Co-ordinator) in the School of Rural Medicine. Her responsbilities include developing strategies to ensure integration of Curriculum components between FRS, PBL, Skills Labs etc, and ensuring the academic integrity of the materials and assessments across the First Year curriculum. Amanda is responsible for the integration and evaluation of iPad technology into Year 1 at UNE and the management and evaluation of the new innovative medical education course - Introduction to Ultrasound. Her research interests are in lifestyle behaviour change at a population level, (including tobacco, physical activity, nutrition and stress management), as well as foci on innovaton diffusion and policy and systems change. 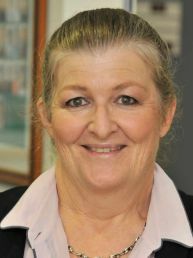 Associate Professor Nagle is a member of the Public Health Association of Australia, the Australian Disease Management Association, the Australian College of Rural and Remote Medicine and is a Board member of the NSW section of the Australian Cardiac Rehabilitation Association.